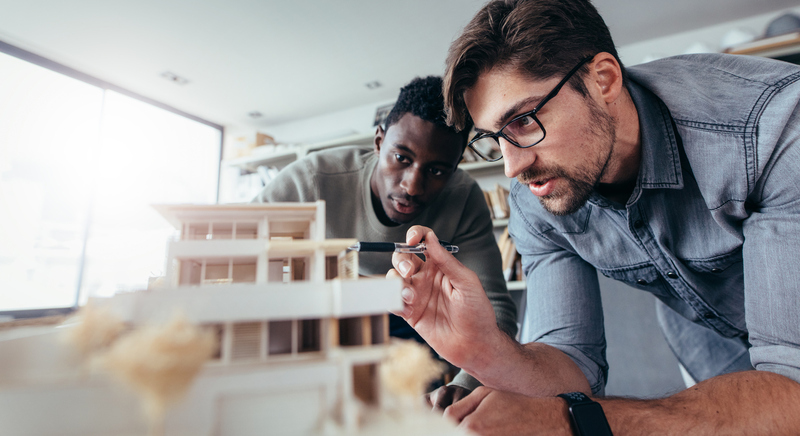 Design review processes are established across the U.S. as a way to ensure quality of design for several projects, including site plans, landscape plans and building design. These reviews often take zoning ordinances into account, and timelines and regulations for remodeling design permits can vary depending on location, and especially on project type. Jodi, can you tell us a little bit about the timeline for design review? Adding on or remodeling when it doesn't affect the front of your home or, if it does affect the front, it has to be under 200 square feet. This is the easiest and takes the least amount of time as design review is not a factor, just plan check—where they check for safety, fire codes, setbacks, etc. When design review is involved, you don't move onto plan check until the design has been approved. Administrative design review. This is for smaller projects that do affect the front of the home—the cut-off is around 500 square feet. Full design review. Anything affecting the front that's over 500 square feet has to be presented to the design review board for approval. The board meets every other month, but if there isn't time to discuss all projects, you can get pushed to the next meeting, making a homeowner wait two more months! The city will tell you that plan check takes 2-3 months, admin design review takes 4-6 and full design review up to 10 months. I went through administrative design review and the process took me 10 months. I believe that if I hadn't fought for what I wanted/needed, it would have easily been a year, and I did not even have to meet with the board. And how does this process vary based on location? Outside of Glendale, I know there are a couple of other areas that have design review. For example, cities like Santa Monica have a long wait for permits. Los Angeles is huge, so the wait is long, but they do not have a design review process. In talking to Santa Monica, they are very encouraging about projects and growth, easy to get a hold of and answer questions quickly. Their application is one page and their to-do list is another page. What are some of the common challenges that homeowners might face during the design review process? Speaking from my experience, a handful of things can happen. We hired a contractor/architect based off of recommendations from friends and family…and we didn't know that we needed to ask a contractor if he had done work on the front of houses facing the street. Who would think to ask that?! The city will tell you that you can hire anyone you want, but I don't think that's true. An architect or contractor that is specific to the area will know all the strange ins and outs of their to-do list and will know who to talk to. If it's your first project with an outside contractor, there will be issues. One of my biggest challenges was dealing with the city-appointed "urban designer." First, I was told the city of Glendale has only two. When design is as subjective as it is, the chances of a designer and a homeowner agreeing on style, and the look and feel of a home, are slim to none. I could interview 20 designers and not find one that has my same taste. If we didn't agree to what they demanded, then we could either walk away from the project and not upgrade our home, or we would have to go before the design review board, which costs more money and, at a minimum, adds another 4-6 months of waiting. What are cities most concerned with? From my conversations with Glendale, they really just care about the home from the street. Santa Monica seems most concerned with people over-building on their lots but, again, they are very encouraging of projects and upgrades. I can't speak for Los Angeles, but I feel like they are just trying to keep their heads above the water. Can you share some tips on how to make the process easier for homeowners? You must do everything first thing—most offices are not open after 12 p.m. Also, your planner might not be in at all on a Friday, so do everything Monday-Thursday 7 a.m. to noon. Contractors struggle with this if they're not used to it—but most like to be on job sites early in the morning. Also, I have heard so many stories of people who gave up, who moved out of Glendale or who decided to move forward without permits. Most important, you'll have to fight for what you want! What's come out of this experience and what do you hope to change? We need to make it easier for people to give their homes what they need! Glendale City Council, the city manager, director of Development and the mayor all know my concerns. They have been wonderful to talk with and have mentioned that they want me to speak at a meeting, but have not followed up yet. I have set out on a mission to make this situation better, bring light to it and discuss it. I cannot have a single client of mine or any homeowner go through what we had to go through to get permits.